If you have any trouble playing our files, or are curious about the best way to watch Anime on your PC, then please read this guide! *Please take note that performance varies a lot between computers of the same price range, clock speed, and year. Don’t assume that your device can or can’t support playing high quality video. 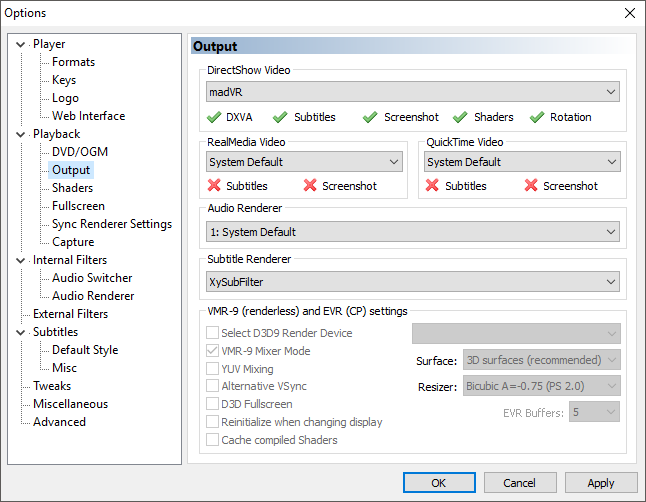 This is where it gets trickier because madVR (the ideal renderer in pretty much all aspects) will likely work on these devices, but may require enabling settings that reduce quality, or have dropped frames if you don’t, which would make madVR pointless. But, if you insist, here you go. mpv – If this is right for you then you probably don’t need this guide (this is easier, but there is no point on Windows, honestly). Potplayer – (This is the middle of the road if you use EVR, rather than madVR) – The built-in renderer in Potplayer in my opinion is the best option for people want madVR, but can’t because of the performance needed. At the end of the installation make sure to check “install additional codecs” as some formats may not play properly if you don’t. Then just double-click and merge the .reg file once you’ve finished installing Potplayer. High performance – This (link) guide has more information on the details of every setting, so read that as well if you don’t feel like (or can’t) following this guide verbatim. Install madVR by extracting the zip to a safe place as the installer does not move the files. Run install.bat as Administrator, and you’re done installing. You should try installing CCCP (don’t use that permanently) and madVR, then playing something in MPC-HC. If it doesn’t play perfectly, then madVR likely isn’t for you. I personally prefer Jinc to all the other scaling options, but this is more preference than anything (NGU is good for upscaling low-res content). And uncheck all the options under “trade quality for performance” except maybe “scale chroma separately if it saves performance”, if you can. Also, use XySubFilter if you use MPC-HC or Potplayer. The internal renderer is generally considered sub-par to XySubFilter (probably a modified VS-filter). Here is the link if you want it. 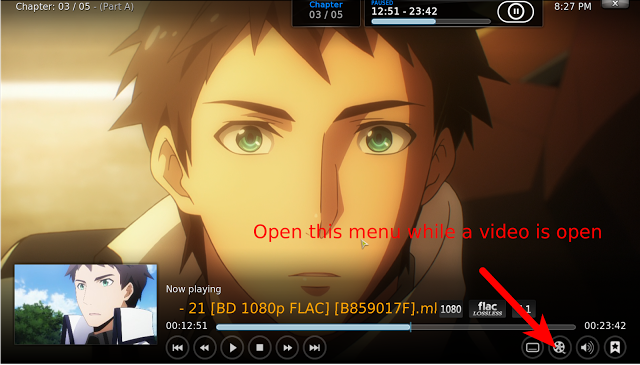 The issues (that I know of) have been fixed with Potplayer’s subtitle render and should be equivalent to XySubFilter. 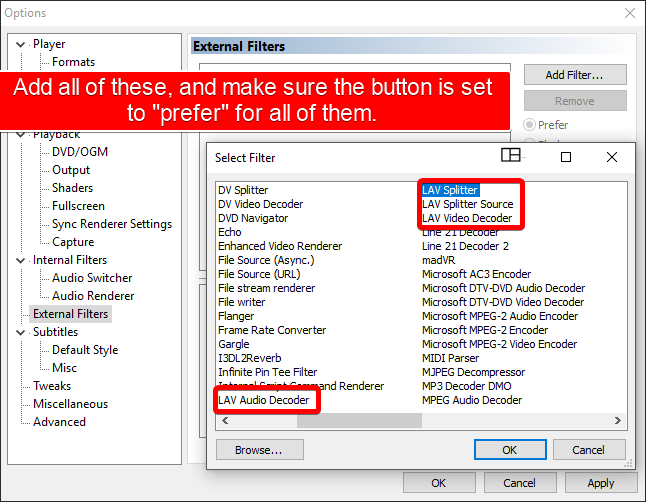 Also, you must use a external video decoder like LAVfilters and turn Video>Video Processing Filters to “Do not use” if you want to use an external subtitle renderer. Press Ctrl+J while playing a video to check if you have dropped frames, and other miscellaneous information. *You can also use madVR with Potplayer (I personally prefer this to MPC-HC) and kodi! To use it with Kodi go here (link), but keep in mind that the developer has abandoned the project so no bugfixes or new releases are expected at the moment. This guide may help you do that if you have more questions, but I think it’s a bit hard to follow and I will eventually write my own guide for configuring it. Also, you will need to change all the directories in the /mpv/mpv.conf file to what it is on your system for it to work properly. Kodi is a great option for (very) low performance users who still want better video playback, but don’t have the processing power for “quality at all costs” madVR. And it is a wonderful HTPC/Home theater solution. *Please take note that Kodi 17 will come with a redesigned video player, so try 16.2 if the latest version doesn’t help. Instructions – Read this (link) then follow this to enable higher* quality scaling. 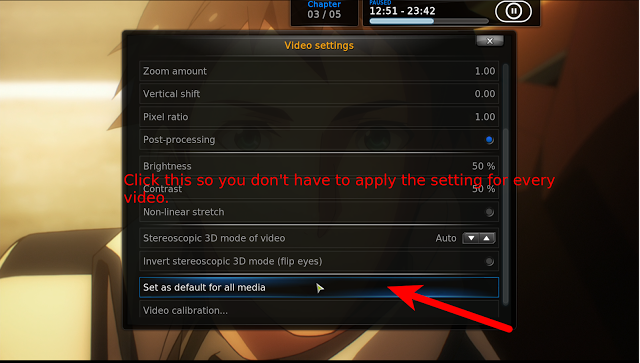 resolution then you may want to enable the post processing option (I never use it though). Phone or Tablet – Use Kodi for iOS and MX player for android. Either use some form of mpv or Kodi because there’s NO madVR like alternative for Linux/GNU or OS X. I use both Kodi and mpv on linux, but in order to get comparable quality to madVR, you need to build a config file with options that aren’t well documented. There are programs that can let you run Windows applications within another OS (e.g Parallels, Wine, VMs), but in my experience they tend to not play nice with graphical applications, so your mileage may vary. This guide is authored and actively maintained by wellivea1. So for people with toasters, the best choice would be potplayer, right? Technically speaking if you have a relatively new toaster and you like to tinker around with your toaster, then mpv would be your best bet (otherwise potplayer is best). Just make sure to set vulkan (direct toaster access) to on in the config file. Fixed. I will be updating that relatively soon since there’s some stuff that has changed, mostly recommending NGU standard at medium+ quality if you can and info about new filters, etc. What you use with chroma doesn’t really matter, so sacrifice that first if you get dropped frames, then Jinc then NGU if you have a lot of gpu power to spare. 3. Download the correct version for your setup (or both if you’re unsure) and extract the zip to a location where you won’t delete it. Run the “regassfilter.bat” as admin. 2. 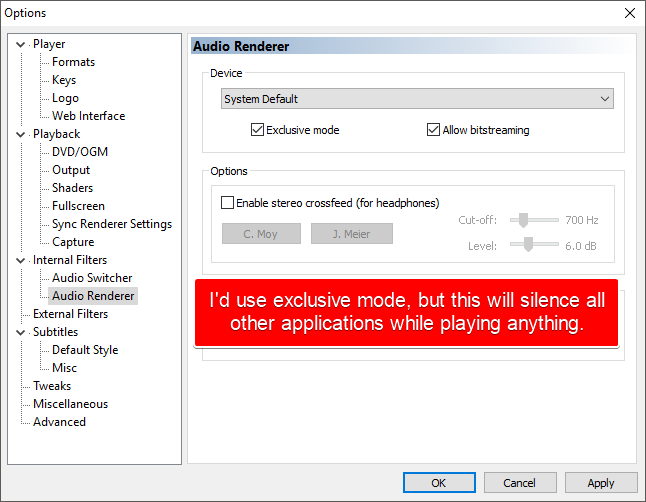 Go to MPC-HC’s settings and select external filters>>add filter then add assfiltermod and assfiltermodautoload and select the “prefer” radio buttons for both. And now you should be set, although I would recommend MPV (if you’re ok with no GUI and dealing with a text config file) or Potplayer (for ease of use but less stable xD) since I can’t guarantee MPC-HC is going to handle everything perfectly. mpv has by far the most up-to-date subtitle support, and I’ll go over it when I redo this guide, eventually. Put this in /mpv in the mpv folder named as a text file named mpv,conf if you want a basic setup for mpv. Your PC may not be able to handle ewa_lanczos, so if it skips with that, just remove the line (vulkan may break everything if you have an old potato as well). Either way, you should use mpv or at least use madvr when using MPC-HC.